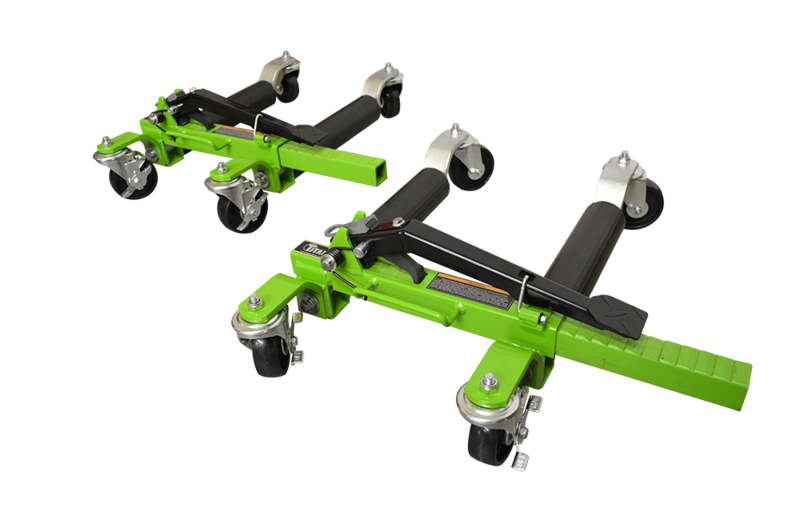 The Titan EZ-Mover mechanical vehicle positioning jacks are equipped with (4) heavy-duty polyurethane locking swivel casters making each jack capable of supporting up to 1,500 lbs. 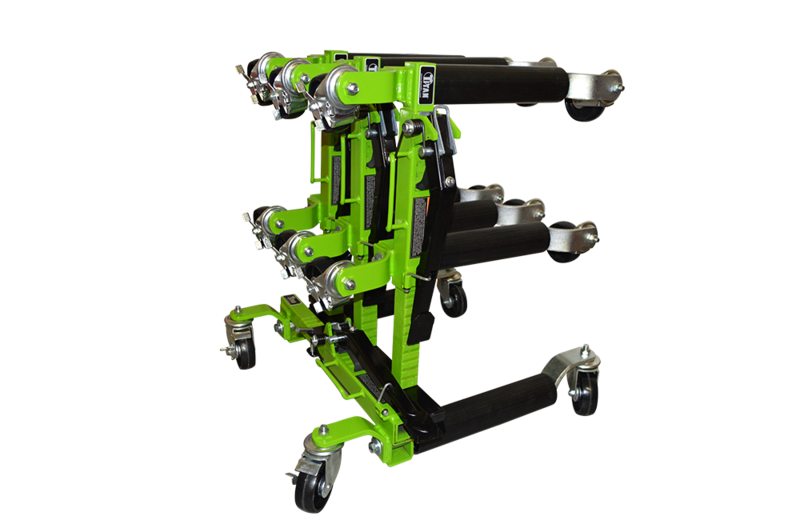 With it's easy-to-operate mechanical foot pedal, these heavy duty positioning jacks are the ticket when looking to safely and quickly move your project from one place in the shop, to another. 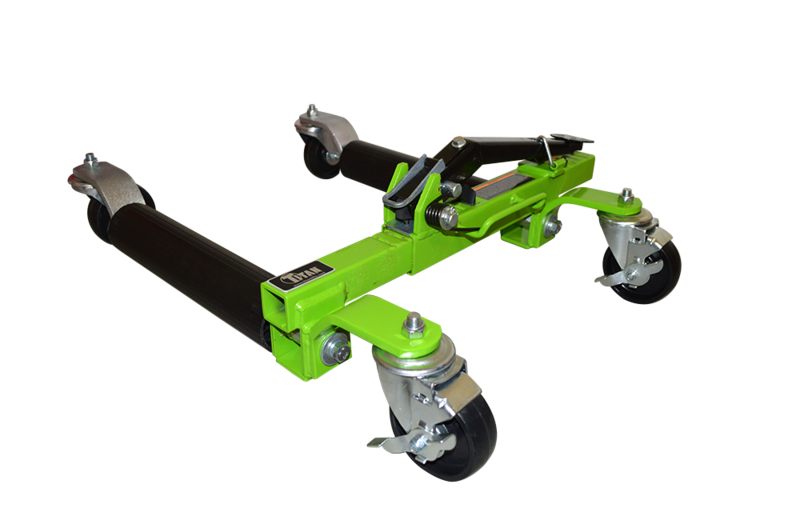 When all four wheels of your vehicle are resting in the all steel-constructed frames, it can easily be pushed forward, backward and even sideways to help maneuver it into tight spaces. With a 13” roller width, these jacks are sure to work with a wide variety of vehicles from the daily commuter to the weekend racer. Max Width (Inside of Rollers) 25"